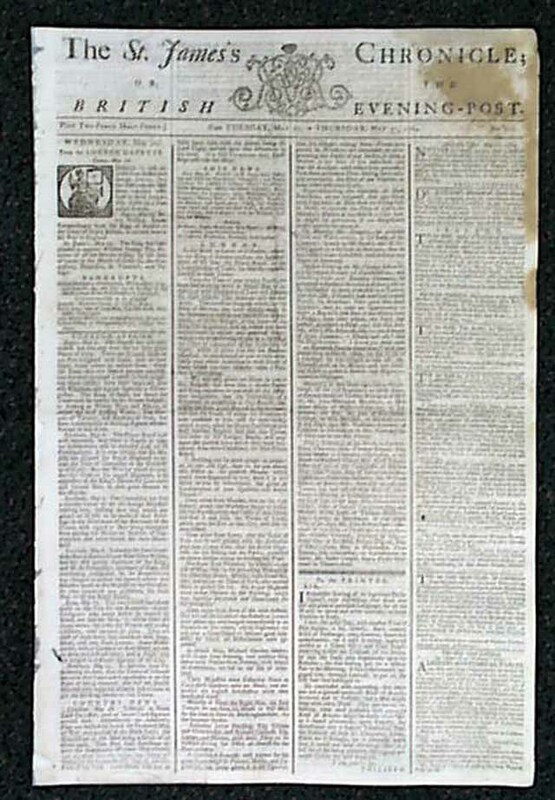 THE ST. JAMES'S CHRONICLE OR, THE BRITISH EVENING POST, London, 1764 A fine, folio-size newspaper from England during the tumultuous time that lead to the Stamp Act, when tensions between England & the colonies were beginning to strain. Various news of the day and a wealth of ads. Decorative masthead, untrimmed, some small wormholes, archival mends and archivally attached at the spine - but generally nice (see). Measures 18 by 12 inches, 4 pages. Note: The photos show the look and relative condition of the issue you will receive. 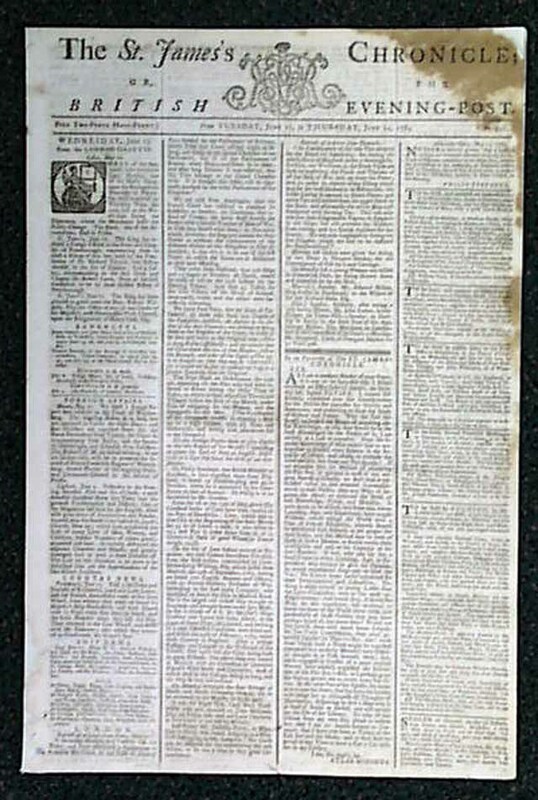 Actual issues vary, but will be dated in 1764.